Primary objective of this article is to describe guidelines for Managing Resources. Managing Resources is the process of using a company’s resources in the most efficient way possible. These resources can include tangible resources such as goods and equipment, financial resources, and labor resources such as employees. Managing Resources can include ideas such as making sure one has enough physical resources for one’s business, but not an overabundance so that products won’t get used, or making sure that people are assigned to tasks that will keep them busy. 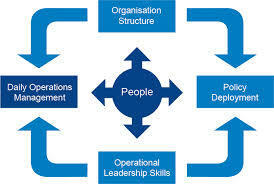 Managing human resources is critical to meet project objectives and goals. There are six tips that have found to be helpful in managing resources on projects: Allocate Time Per Project, Block Out Unavailable Time, Execute a Risk Plan for Critical Resources, Require Real, Recognize Bottlenecks and Adjust Quickly.